In a perfect world where mortgage rates, market inventory and demand from homebuyers align, downsizing to a smaller home would be a piece of cake for aging seniors. Unfortunately, if downsizing isn’t in the cards, some advice for aging in place can be valuable. Factors like lack of affordable inventory in a preferred location can make downsizing to a smaller property nearby a challenge for seniors without significant savings. The current trend of rising interest rates and rising prices add to the downsizing difficulty. 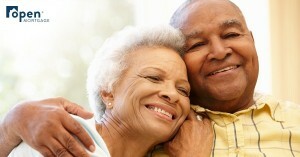 A 2018 study by AARP confirms that “3 out of 4 adults age 50 and older want to stay in their homes and communities as they age.” The same study also found that about “one-third of adults 18 and older expect their homes to need major modifications to accommodate aging needs.” Mobility, safety and independence are key to successfully aging in place, and may require practical home renovations. Some necessary projects might include building a ramp to the front porch or threshold for wheelchair and walker accessibility, or replacing door knobs with lever-style handles that require less grip strength to operate. Many seniors find that a grab bars in the shower and/or near the toilet and automatic LED night lights are helpful features as well. Though modifying your home to accommodate aging in place can be expensive, it can sometimes be less expensive than moving to a senior-living community or assisted-living facility. There are several loan options that can help seniors who own their homes outright or have significant equity in their homes to age in place comfortably. An appropriate loan product can pay for improvements that will make your home the perfect place to spend your retirement. Senior homeowners can borrow against their homes using either a home equity loan or a Home Equity Conversion Mortgage (HECM). To find out more about how a Reverse Mortgage can work for you call Melinda Hipp , CRMP with Open Mortgage at 210-493-7332, email at melindahipp@openmortgage.com or visit texasreverse.net to learn more. Melinda Hipp is Branch Manager with Open Mortgage|San Antonio and specializes in working with senior homeowners 62 and over who would like to access the equity in their home through a Reverse Mortgage. She has handled hundreds of satisfied Reverse Mortgage clients over the past ten years with many raving fans. She and her team are dedicated to giving you boutique service, a quick closing and personalized customer service. 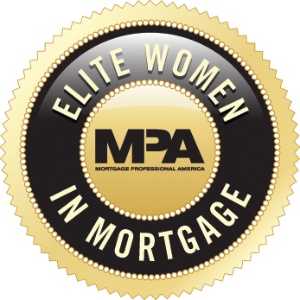 Melinda regularly provides training to local real estate professionals and holds the designation of MBA, CRMP (Certified Reverse Mortgage Professional) and CMC (Certified Mortgage Coach.) Melinda is also an active member of NRMLA (National Reverse Mortgage Lender’s Association). An avid golfer, Melinda was a charter member of the San Antonio Chapter of the Executive Women’s Golf Association. She is currently a member of the National Reverse Mortgage Lender’s Association, Women’s Council of Realtors, San Antonio Board of Realtors, CRS and a board member of Golf San Antonio.